If you have played Europa Universalis chances are you have at least heard of Magna Mundi. It has been a mod for Europa Universalis III for quite some time now. Now Magna Mundi is going to be fully loaded. 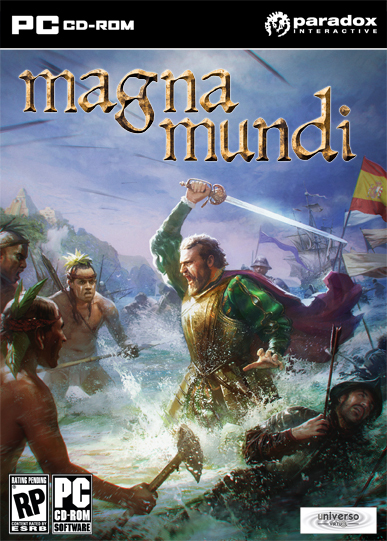 Magna Mundi, meaning "Great things of the World" in Latin, has a full development team and should be released as it's own game sometime in mid January 2012. Even though the game is originally a mod of Europa Universalis III, it will be nothing like Europa Universalis III, just as the mod was nothing like it. Unrealistic things happen in Europa Universalis III. Things that would never happen even in alternate universes. Magna Mundi will be the opposite and will be shooting for historical realism and depth. This will be a political game where you have to deal with the realities of the times. The game will last from 1453 to 1815. In Europa Universalis you will occasionally get a random stability hit with only a couple of sentences explaining why you got the stability hit. There is no real explanation of why it happened, it's really just a random dice roll in the background based on a few factors of your government. In Magna Mundi you are going understand why your country is destabilizing because you will be much more involved with the personable decision making process of a ruler. Events will chain off of eachother to create the story of your nation. These events will be directly influenced by your decisions. It is the decisions that you make that will shape your country. Like so many things in life, you will not have direct control over ever facet of your country. The game will be global in nature. Diplomacy is rather weak in Europa Universalis III while in Magna Mundi your diplomatic options will be less vague, more direct and more plentiful. You will face the actual hardships of controlling colonies across the seas. You will face the reality of what it means to be a ruler. You will need to keep your allies close and your enemies closer. Over 50 trade goods will be represented in the game and trade will be much more in depth. No longer will you be able to simply convert a province to a single religion, because most provinces will have multiple religions. All of these things will come together to make a more plausible sandbox to play in. While you can change the world in Magna Mundi, you will not be able to conquer it. You will be one ruler, and one person can only do so much. If you like politics, diplomacy, history and realism then Magna Mundi will be a game you will want to look into. If you only really care about military conquest, then you probably be disappointed in Magna Mundi. Power projection is as important of a term today as it was in history. Magna Mundi will focus on how you make others look at your country and when you are tested weather you are willing to back up your decisions with force or retreat back to safety. How your people look at your rule is going to matter. How other people see your country is going to matter. Unfortunately the latest mod version of Magna Mundi does not work for Divine Wind, but if you have Heir to the Throne I highly recommend checking it out. For more information about the full game check out the official site. 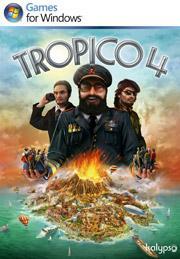 Here is our initial review of Tropico 4. Tell us what you think about the new game from Haemimont Games. Our guide to Tropico 4 strategy will be available in about a week. Updates will begin to be added for the 50 achievements included with Divine Wind. Walkthroughs, tips and general strategies will be written to help attain the different achievements. One of the harder ones, No Trail for Tears, has been recently added. Feel free to ask for specific achievements or any questions. Click below to see our guide to Europa Universalis III Achievements.